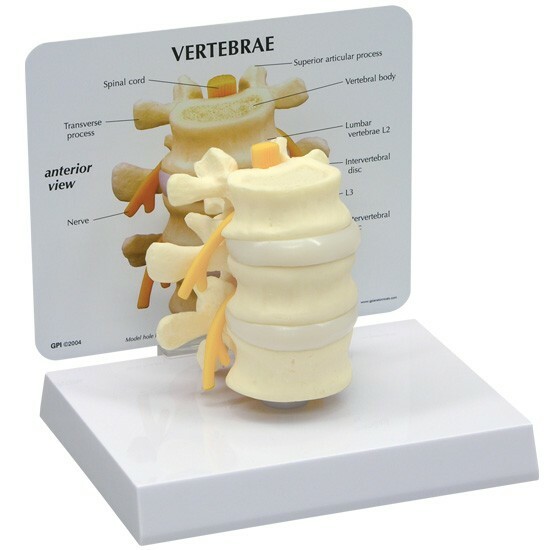 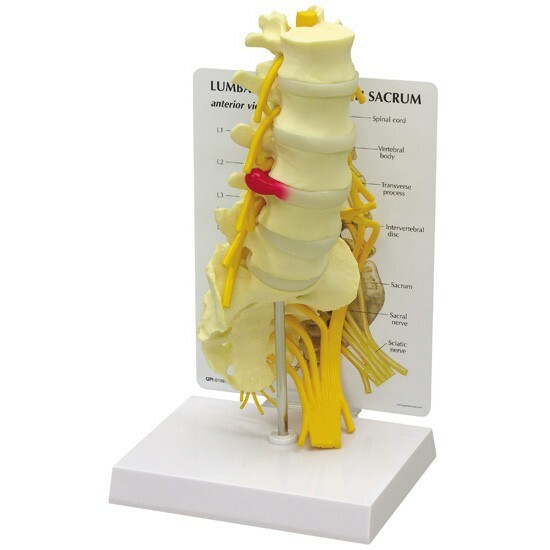 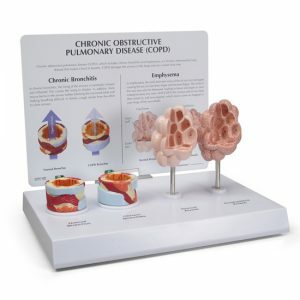 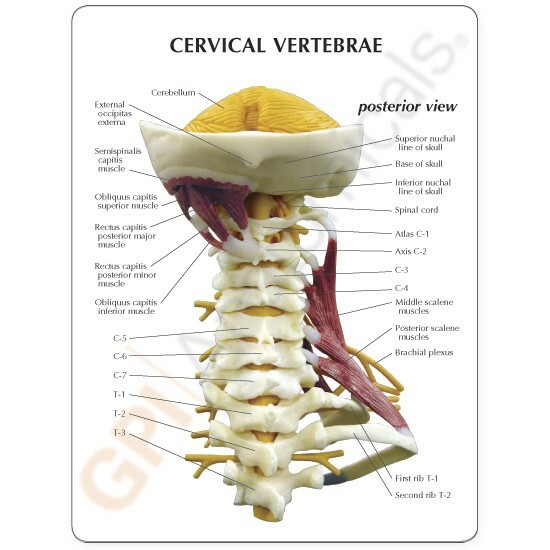 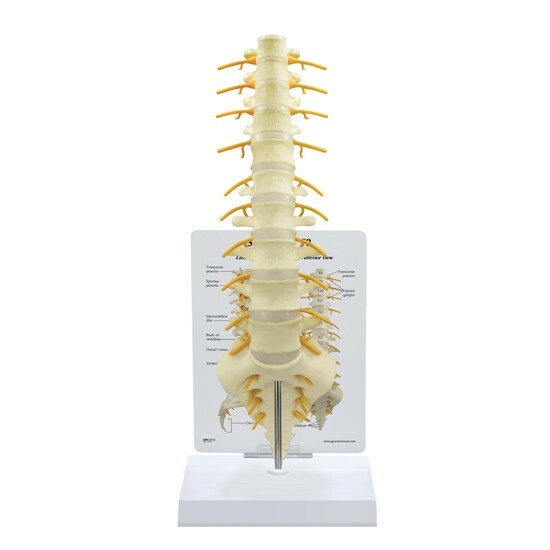 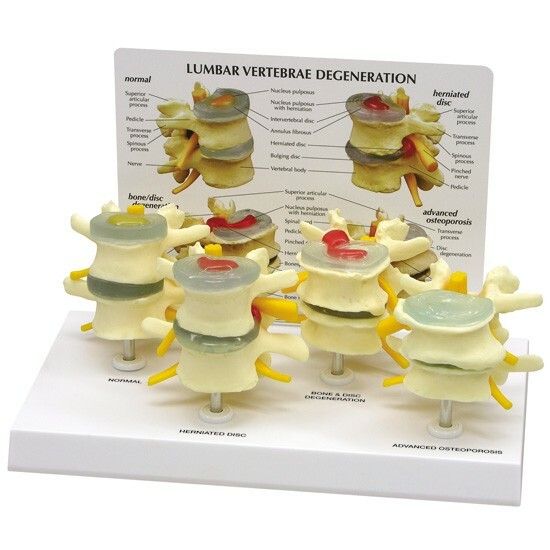 Full size muscled cervical vertebrae model features brain stem, occipital bone, atlas and axis through C7, with herniated disc, T1 and T3. 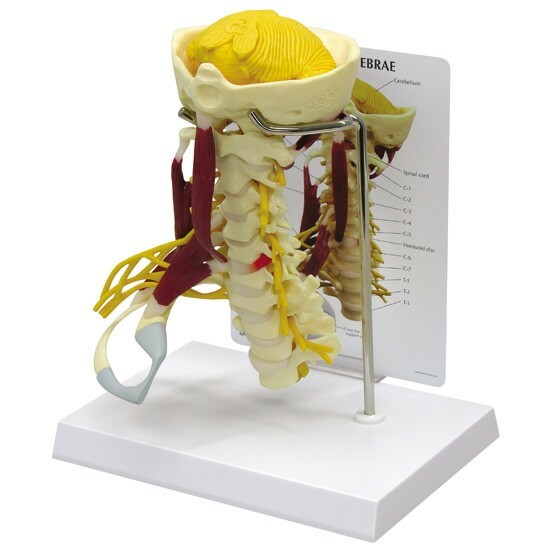 This model has a soft cerebellum and full nerve with right side brachial plexus. 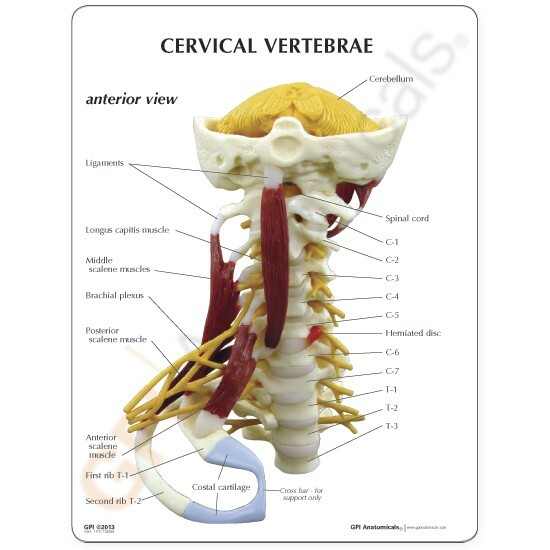 Muscles include suboccipital triangle, longus capitis, levator scapulae, scalenus medius posterior and anterior. 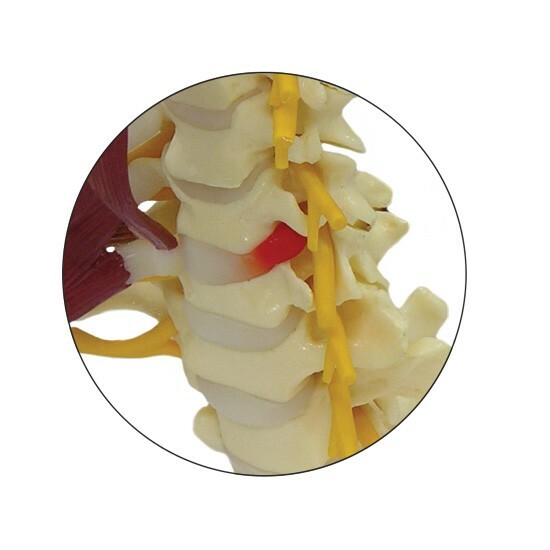 The right first and second ribs are also featured and include cartilage.